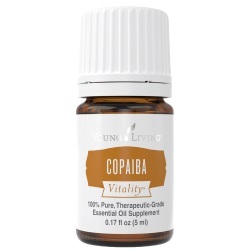 Copaiba Vitality Essential Oil is known for its beta-caryophyllene content and promotes wellness. * It supports the body's natural response to irritation and support healthy digestion*. From the oleoresin of the Copaiba Tree. It is harvested similarly to how we collect maple syrup! It is taken right from the tree through a pipe drilled into the tree! The essential oil is then produced by steam distilling the copal (oleoresin collected from the tree). is oil is part of the new Vitality Dietary Essential Oil Collection which includes over 25 oils for dietary use, drinks, cooking and more! 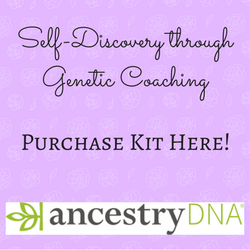 Check them out because you will want to have them all! Did you know that copaiba oil known to have some of the highest levels of beta-caryophyllene in the world? Yes it has been documented to contain 50 percent beta-caryophyllene. Helichrysum and Clove essential oils have 5 to 12 percent of the same compound! Beta-caryophyllene has been extensively studied for its ability to modulate the body's response to irritation*. Other essential oils besides helichrysum and clove that contain beta-caryophyllene are basil, oregano, black pepper, rosemary and cinnamon bark oils. As I receive new tips and testimonials for Copaiba Vitality oil they will be added to the page, so check back frequently! Want to Purchase Therapeutic Copaiba Essential Oil? Go to the Oil Shop! Buy Copaiba Vitality Essential Oil Here! Why is this information important? It is always important to know the genus species and the part of the plant being used when using and purchasing essential oils. There are at least 3 different species of Copaiba and a dozen or so common names that are included under the umbrella of copal or copaiba. Additionally, some companies are marketing the bark of the tree which is not at all the same as the resin. Remember, even though species may share some similar properties they are not at all the same. Therefore, just knowing the common name of a plant is usually not enough information. What is the ORAC Value? I don't think it has been measured yet! If you find out, please let me know! What are the Plant Properties? Soothing and relaxing. What are the Documented Uses and Benefits of Copaiba Oil? Support body's natural response to irritation*. Supports wellness* and healthy digestion*. Last note - It may enhance or create a synergistic effect with other oils. Peppermint essential oil may have the same action; and that is why it is used last in the sequence of oils used during Raindrop Technique. Want to Learn about Copaiba's Emotional, Spiritual and Other Aspects? Then go to Benefits of Copaiba Essential Oil Page! Dietary Supplement: place several drops in capsule with olive oil and take internally. If you prefer dilution, use 50:50 dilution-one part essential oil: one part vegetable oil. Place in tea or favorite beverage. Can this Oil be used for Pets? Yes, this is one of the best natural anti-inflammatory oils you can use for animals. In Brazil the animals will practically take down a tree to drink copal. Apparently, wild bore are best at finding a way to tap into this wonderful resin! What are the Safety Precautions? First, only use therapeutic grade essential oils for best results. It is Generally Regarded as Safe (GRAS) by the FDA when used in small doses (less than 5 ml). Dilution not required, except for the most sensitive skin. Did you know that the Copaiba Tree has to be at least 30 years old to produce therapeutic grade oil? Yes, and it is said the optimal years are between 30 and 50! Did you know that one or two Copaiba trees per hectare of land in the Amazon can produce up to five kilos of oil per tree about every two years? Use in smoothies to support digestion*.